Models pose backstage before the show. Last year Sarah Duah presented her first collection at Ghana Fashion & Design Week. She returned to the event and continued with her creative journey. The unconventional designer was inspired by 'hair' last year so it was highly anticipated as to what she would do this time. 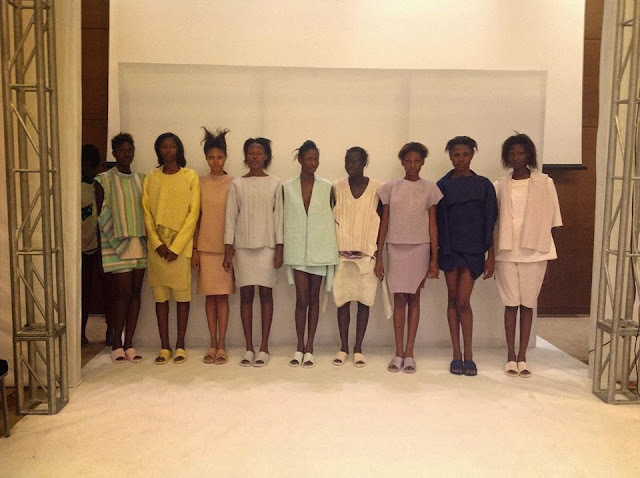 Her collection showed her ability to explore different shapes, lines and silhouettes. Her creativity as a designer continues to evolve while she is working on completing her Master's Degree in Fashion. Using a clean palette of whites, cream, beige and pops of colour including cobalt blue, rose and yellow she certainly proved that she designs outside of the box and doesn't use conventional standards when she creates. It's no surprise that she was profiled in British Vogue as an emerging talent to watch. 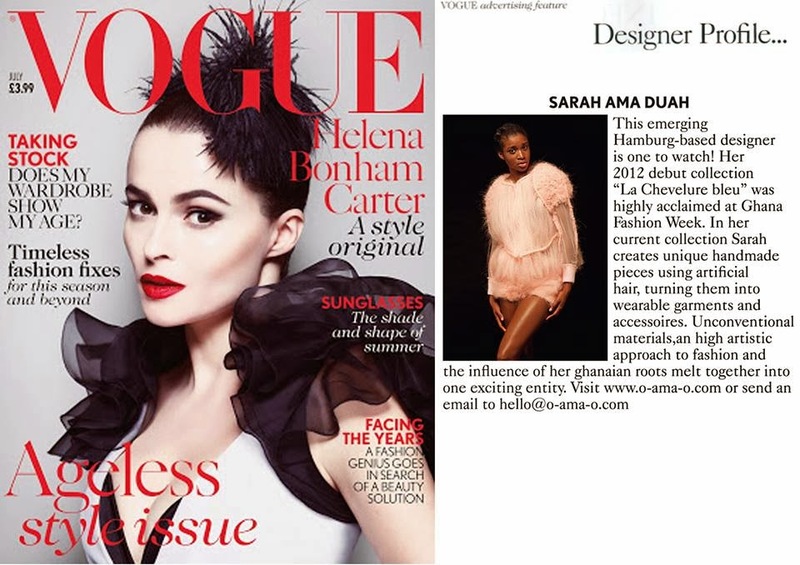 It's no surprise that Sarah Ama Duah was profiled in British Vogue earlier this year as an emerging designer to watch.